The Ottawa Senators opened training camp last week and after five days of practices, fitness testing, inter-squad games and video review, the team hits the ice for their first game of the 2015-16 pre-season, with two split-squad games against the Maple Leafs. While players’ performance in the Senators’ eight exhibition games will make the biggest difference as to where they will play this season, it is worth looking at the initial impressions certain players have made in the early days of training camp. Also, seeing what the coaches say about certain key figures during press conferences, and how they deploy the lines during inter-squad games, can give some insight into the coaching staffs’ thought process. Plus, its great to have meaningful hockey to talk about once again! It seems that one of the perpetual questions the coaching staff receives every year at the opening of training camp is, “what players showed up in the best shape?” While some players are obviously going to have spent their summer more effectively than others, generally the coaching staff is not willing to single out individuals unless they are egregiously out of shape. However, noting who the coaches praise for their condition and fitness is a good way of telling who is well-regarded by the organization. Such was the case on Sunday at the Ottawa Fanfest Press Conference when Director of Player Development Randy Lee singled out Shane Prince for his strength, despite “not being the biggest guy in the world.” Obviously this comment is just one remark but it reflects a general trend in the organizations’ appraisal of Prince. He was given a brief opportunity to play with the big club last year, during which he impressed. Binghamton coach Luke Richardson also used in every situation last year and Prince thrived, ultimately leading the team in scoring. The fact that Prince was a star for the local OHL team the Ottawa 67s only further solidifies his appeal for the Senators and their fans. Furthermore, he was a second round draft pick in 2011 and given his relatively high draft position, it is reasonable for the franchise to expect Prince to play in the NHL at some point. Furthermore, given how successful 2011 fourth round draft pick J.G. Pageau has already been, Ottawa is keen to have another prospect from that draft year graduate to the big leagues. Finally, and perhaps most importantly, Prince is on a one-year contract this year and is not waiver exempt. If he gets sent down at the end of camp another team will probably take a chance on a young prospect who has proven he can score in the AHL, meaning Ottawa loses him for nothing. All of these factors combine to make me think that management REALLY want Prince to snag the open left-wing spot available with Erik Condra’s departure. This is his year to do it and I suspect that failure to make the team will result in Prince heading out-of-town, either through a waiver claim or as a free agent at the end of the season. Both Max McCormick and Nick Paul have played most of their career on the left-wing. 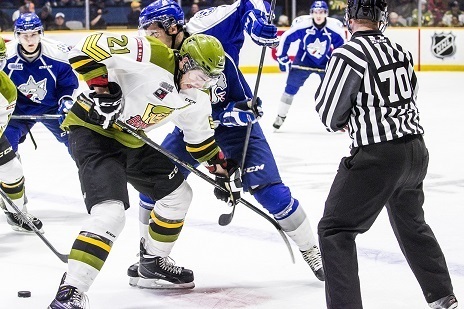 Last season McCormick played wing for the Binghamton Senators while Paul split time in North Bay between center and wing, but it was on left-wing at the World Junior Championships last year where he really excelled, helping Canada win gold. Even at the prospect camp in July, Paul and McCormick were both wingers and made quite a positive impression. However, fast forward to today and the coaching staff have Paul and McCormick playing center in the early camp scrimmages. Now whether Dave Cameron and company continue to play the two of them at center once exhibition games start is an open question, but it is an interesting move. The case for Paul playing center makes a lot of sense. He is a big body with good hands who can play a physical game in front of either net. Furthermore, while Ottawa does have depth at center with the big club, organizationally, their depth at this position isn’t that strong. Colin White and Filip Chalpik are at least two years from playing professionally and while Binghampton has Derek Grant, they don’t have the combination of size and offensive ability down the middle that Paul can bring. For McCormick the case is less clear, but he is a strong two-way player who can skate well and is an exceptionally hard worker. All attributes that are valuable for a bottom six center. As well, Binghamton is not particularly deep at center but is on the wings, meaning an offensively minded winger may have to switch over to ensure a balanced top six. It will be interesting to watch throughout camp as to who the coaching staff thinks that might be. My guess is that Paul will thrive at center while McCormick gets moved back to wing. 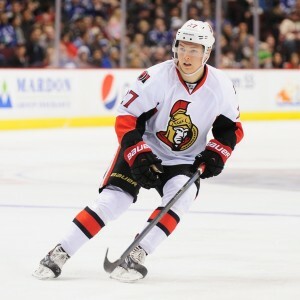 As discussed previously, Curtis Lazar is, hands down, the most entertaining Senator off the ice. He is also maturing into a very entertaining player on the ice. As he demonstrated at the 2015 World Junior Championships last December and January, Lazar can play as a top line center and excel, scoring at a point per game pace through the tournament. While Ottawa played him at left-wing last year, and looks to again this year, Lazar’s speed and tenacity serve him well on the wing. Despite only scoring six goals, he was a key element of Ottawa’s effective third line that was so often employed in a defensive role by Dave Cameron. In the two inter-squad games so far at training camp, Lazar has continued to play his brand of high energy hockey. While not scoring any goals in either of the games, he was effective at both creating turnovers on the forecheck and keeping the puck alive in the offensive zone. While there are 61 players at camp this year, Lazar looked like someone who clearly belonged on the Ottawa Senators. All of which is very encouraging for his development, but what makes him truly special is that Lazar is only 20 years old. Many of the prospects competing for a spot on the team have at least two years more professional experience than he does yet he has easily outclassed them early on. 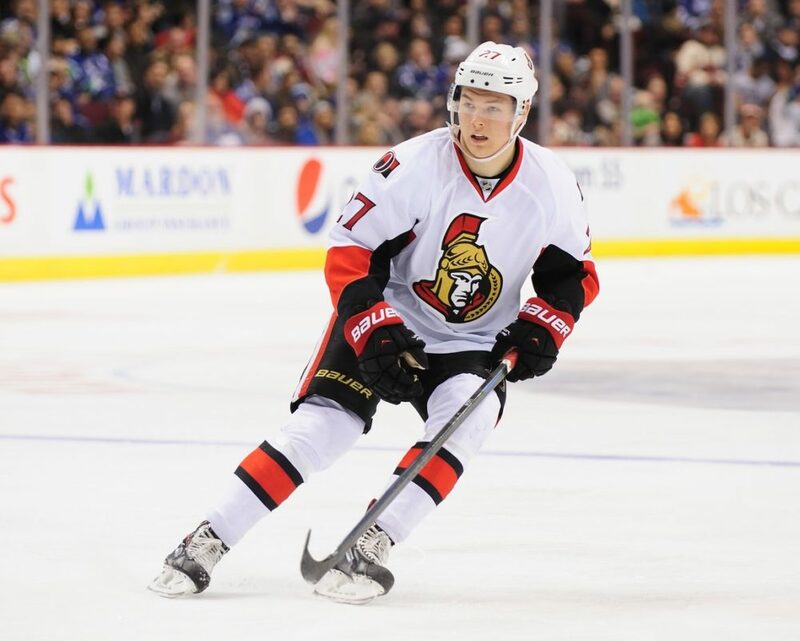 For Lazar, the offense will come with time. Right now, Ottawa Senators’ brass must be thrilled with the caliber of prospect they have on hand with #27. With exhibition game starting the nature of camp will change very quick and some of the 61 guys will soon be headed back to their minor league or major junior clubs. However, it will be worth watching how Prince, Paul, McCormick and Lazar play in the coming weeks. If camp goes according to Ottawa’s plan, all three will be there until the end and each will have set themselves up for an exciting season.